In the centre of the Mexican town of Mitla stands a run-down chapel on an overgrown pre-colonial pyramid. The chapel, housing three crosses, is the town’s Calvario, the local representation of the hill on which Christ died. Although busses full of tourists on their way to Chiapas or on daytrips from Oaxaca City swarm the town every day almost none of them ever visit the Calvario. Instead they stick to the tourist zone to marvel at the famous mosaic friezes of the pre-colonial temples and shop for traditional souvenirs in the tourist market. If they would climb the steep steps to the chapel they would discover that despite appearances the building still sees extensive use as pilgrims from the wide Zapotec region visit it to bring offerings to and ask favours of the souls of their dearly departed. And as these offerings consist of elaborate arrangements of flowers, fruits, black candles, cacao beans and bundles of copal incense, such tourists might well start to wonder where the origins of these practices lie. 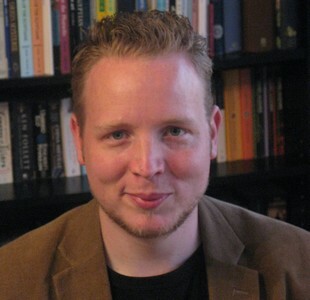 It is this question to which an answer will be sought in this research master thesis. To achieve this, current theories on cultural continuity, syncretism, the materiality of religion and ritual theory are combined with a study of archaeological, historical, iconographical and anthropological sources. In addition ethnographic fieldwork has been conducted to come to a better understanding of the offerings made in the Calvario today. 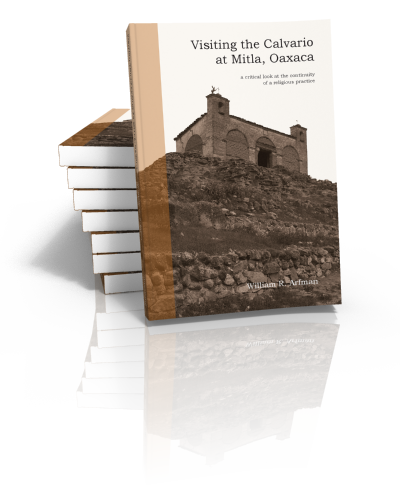 Divided in three segments, the thesis first addresses the history of Mitla as ‘The Place of the Dead’, then of the Calvario as a ritual location and finally of the offerings for the dead. By then combining these three lines of research an interesting image is formed of the continuity of ancestor veneration in this busy tourist town.